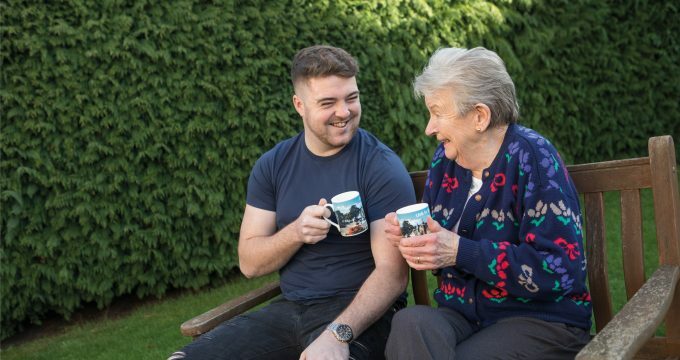 To help attract more people to work in care, a national campaign called WeCare Wales has been launched: the campaign is a collaboration between Social Care Wales and leading organisations representing social care, early years and childcare in Wales, as well as other national bodies involved in job-seeking and careers advice. It is part of a long-term strategy to develop the workforces in the care and health sectors over the next decade, to provide a high-quality, seamless service to the people of Wales. The WeCare campaign aims to show the variety of roles and career progression opportunities available. By using real care workers, the campaign focuses on the challenges they face, as well as what makes their work rewarding and worthwhile. New qualifications in health, social care and childcare are being launched from September this year and this campaign is part of a broader plan to make sure we have a workforce across care and health services that will meet the future needs of the people of Wales.